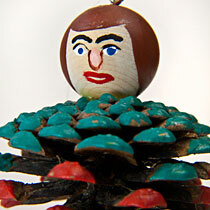 Male doll made from a pine cone. 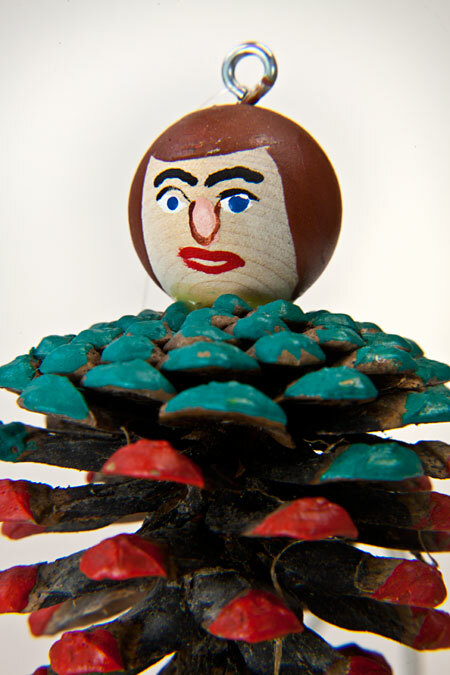 His head is a round wooden bead with hand painted facial features. 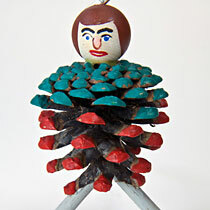 His body is a pine cone that is painted green at the top and red at the bottom. 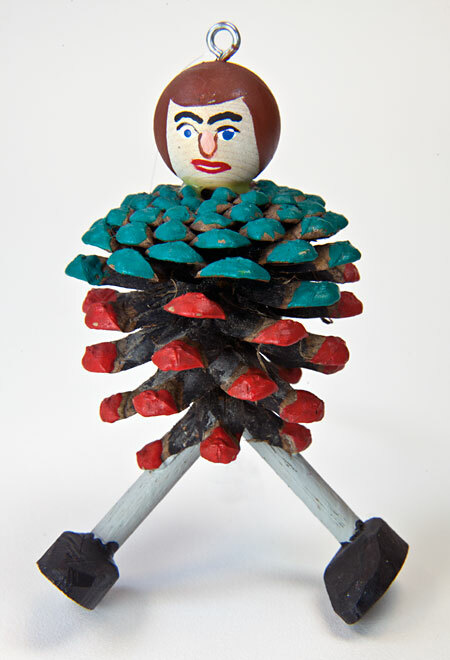 His legs are round wood dowel, with wooden boots at the ends. 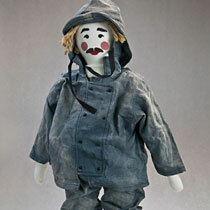 This cultural figure represents the rural areas of New Brunswick. A Poem About a Canadian Log Drive: "Logging on Colter's Crew"
About thirty years ago, six friends took a canoe trip through New Brunswick. 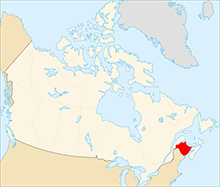 New Brunswick is in eastern Canada. It is known for its forests, which have provided lumber for many people. The six friends decided to stay overnight in a deserted logging cabin in the Tudook dead water area. While there, they found this poem (written by Eldon Norrad) in one of the cabinets in the old cabin. To bust a big log jam. But Buster was too slow. And washed Buster down the creek. But forgot he couldn’t swim. And Alton went in too. On a twelve and a half foot log. 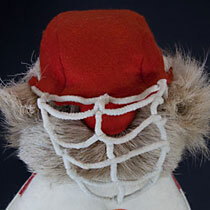 He grabbed George by the hair. He grabbed onto a limb. And they all went over the top. I was there to pull him in. They were a pitiful sight. As they all fainted on the floor. But I wouldn’t lie to you.